Today is the day! Yes, today is June 1st! There are so many good things happening in June. First up is that today begins the 2016/17 Annual Catalog and Idea Book! Just look at that cover, hinting at so many good things inside. The next good news you already know if you read my post from Monday. 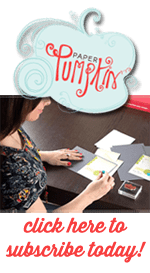 If you sign up to be a Demonstrator in June, you get to pick an additional two free stamp sets to go with your Starter Kit. Seriously, this is reason enough to sign up. You can potentially get $200+ worth of products for $99 depending on which stamp sets you select for your freebies. In situations like these, I usually go by price to maximize the free benefit. And last but not least… $35 extra host rewards when you have a party/order totaling $350 or more (pre-tax/shipping). Several months ago my Big Shot broke and I was able to get it repaired for free but it hasn’t been the same since. I have been waiting for a really good deal to come along so I feel justified in replacing it. And this is it! Machine is 8 years old. This equals 416 weeks of using it. I use it 4-5 per week (seriously not kidding about this). IF I was only die-cutting one item per session, it would equal somewhere between 1,664-2,080 cuts. And I can assure you that I am not cutting out just one item at a time. I would estimate approximately 5 cuts per session, which now puts me at 8,320-10,400 cuts over the life span of my Big Shot. Yep, I’m definitely a heavy Big Shot user. I could not craft without it. The Big Shot was $99 when it was first released. Divide that by 8 years and it only cost me $12.50 per year for it. Still… if it was repaired, why replace? Two reasons. The first is the reason for the repair. I actually had a die stuck in the machine and the handle would not crank forward or backwards. I contacted Sizzix to see if they had any suggestions for rescuing my die. They said I would need to take it apart, then replace the crank shaft inside because it was likely warped now. They sent me the replacement part kit for free with step-by-step instructions on how to do it myself. I was able to take the handle apart, rescue my die, and reassemble everything. And here’s reason two… I noticed after reassembling, I was no longer getting really good cuts on my machine. Until we got the Precision Base Plate, I had to shim a lot of things to cut the entire image out or I’d have to run it though 3-4 times to get it to cut. And now that we have the brand new and improved Base Plate shipping with all Big Shot machines starting 6/1, now is the time to get a new machine. I was going to buy the Base Plate by itself, which is $26 but the entire machine is only $110. With all these great things going on, what are you most excited about this month? Are you dying to get a copy of the Catalog in your hot little hands? I would be happy to send you a catalog for $5, which I will refund to you on your first $50 order pre-tax/shipping. Thinking about signing up? I’d love to talk to you about the opportunity. Want to host a craft night or gather up some orders from friends so you can get an extra $35 in FREE goodies? I can help you with that too! I don’t want to leave you without a cool project so here is one I made a while ago, but never shared (so many projects…so little time). 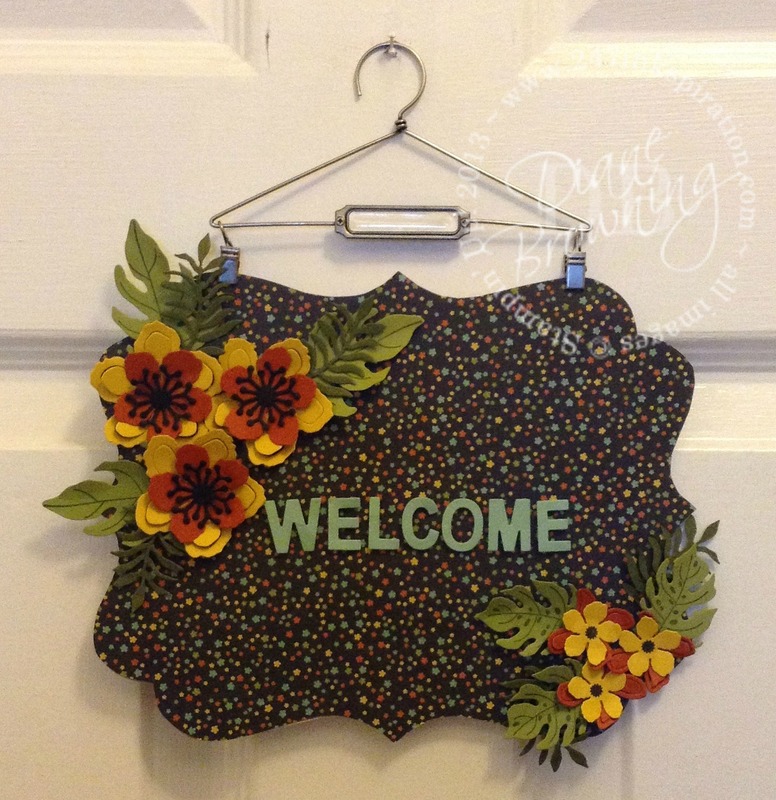 The wall hanging is mounted on a piece of chipboard to make it sturdy. I purchased the hanger at a local craft store. I’ve seen similar products online. They aren’t too hard to find.